These presentation slides 28599 are complete compatible with Google Slides. Simple download PPTX and open the template in Google Slides. 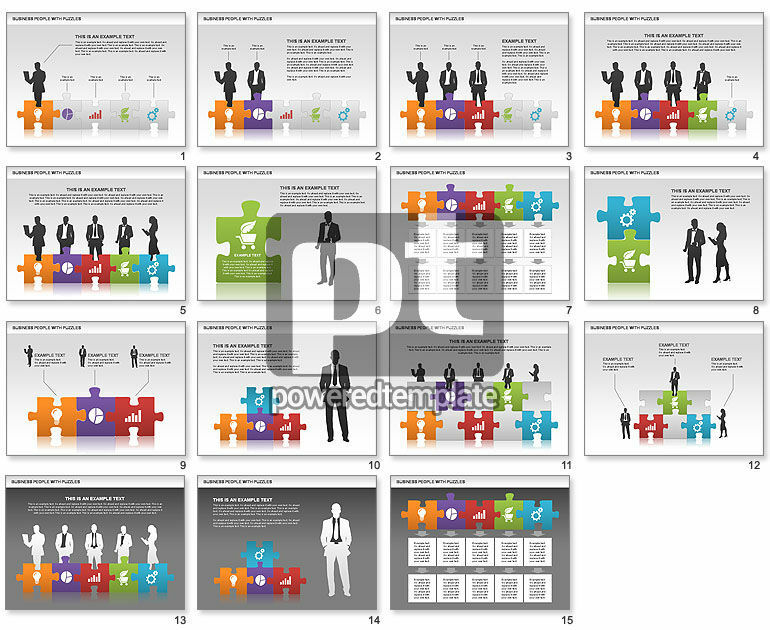 Nice visual diagram with human silhouettes and puzzles will be good choice for usage in presentations on company organization, linkages, product workflow, business plan description, business project evaluation and implementation.